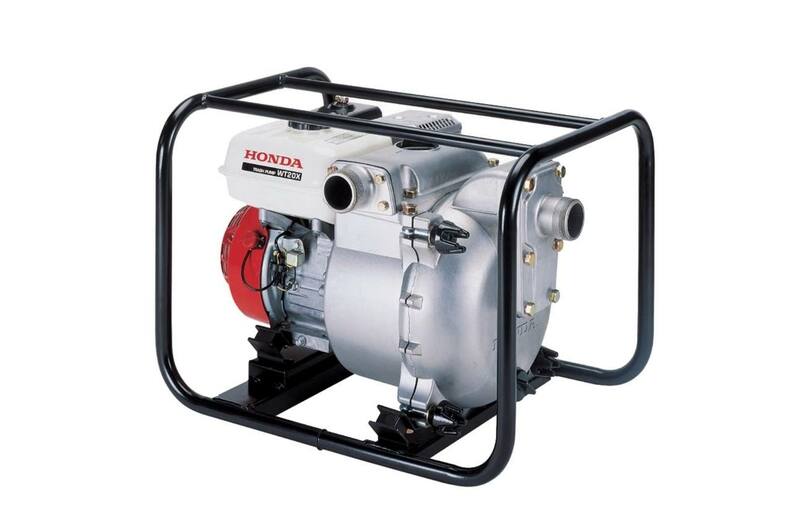 The WT20 pumps up to 187 gallons per minute. 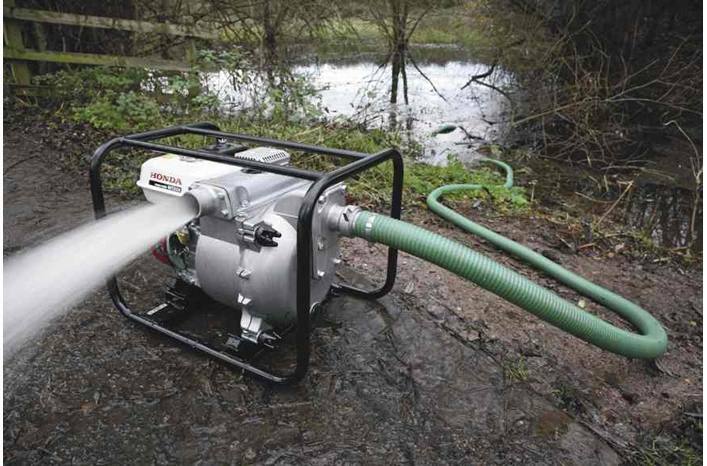 Heavy-duty 2" construction trash pump: Specially designed for job sites and applications where high volume trash water capacity is needed. Priming time: 60 sec. @ 16.4 ft.
Suction port diameter: 2 in. Discharge port diameter: 2 in. Dimensions (LxWxH): 24.4 in. x 18.1 in. x 18.3 in. 24.4 in. x 18.1 in. x 18.3 in.